The American Daffodil Society has funded grants and collects scientific research results from various sources. 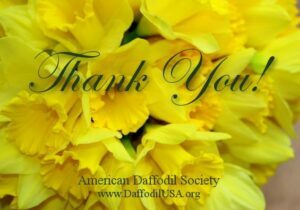 Below is a collection of research materials and publications gathered over the years by the American Daffodil Society. Geophytes – Methods for Bulb Propagation from the University of Kentucky – College of Agriculture, Food and Environment. Chart–Soil samples sent to Northwestern Washington Research and Extension Unit Read results of this project in The Daffodil Journal, June 1989, pp.228 – 235.